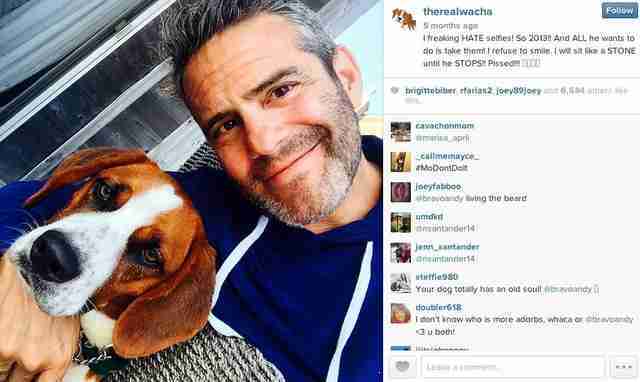 Bravo host and producer Andy Cohen's rescue dog Wacha has his own Instagram account, and it's clear that Cohen and his pup share the same sense of humor (and taste in television). 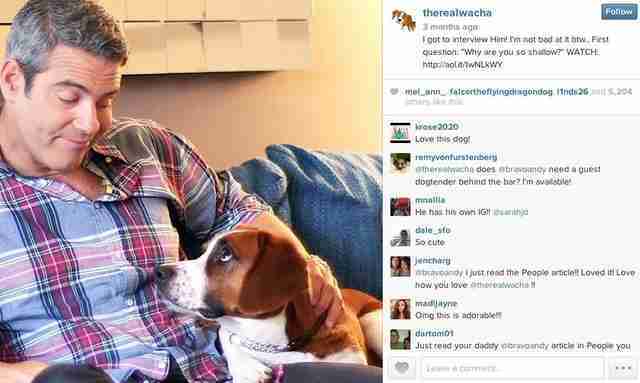 Like Andy, Wacha loves reality shows. And looking fierce. 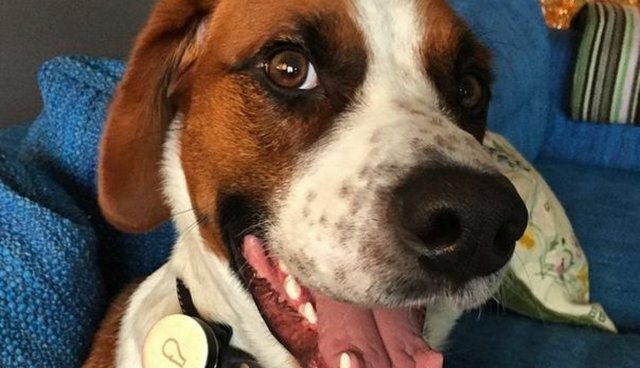 Sometimes he jets out to the Hamptons. 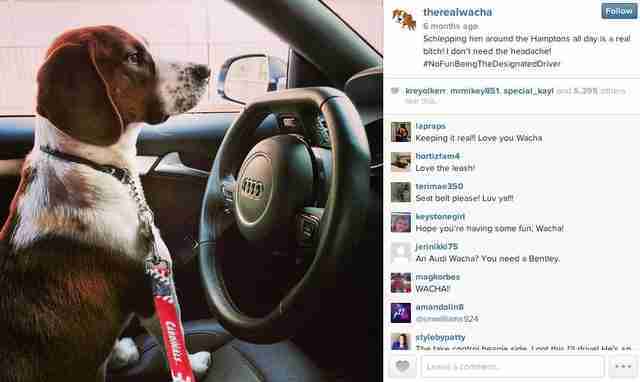 Wacha is so over the Times. 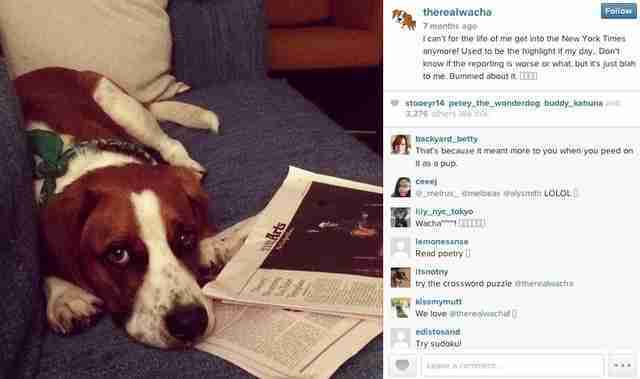 Andy and Wacha don't always agree about everything. Like selfies. But they're super cute together. 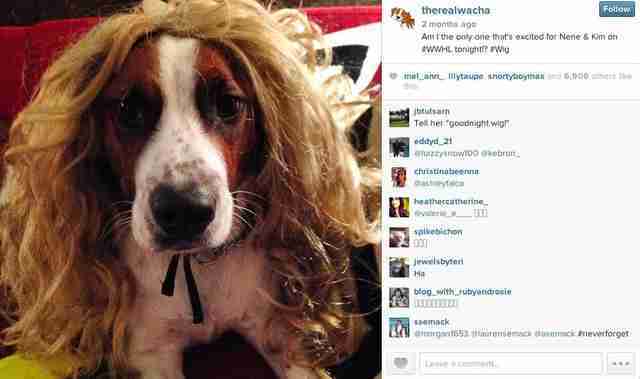 See more from Wacha's sassy account here.